Description: Gold Coast, Accra. 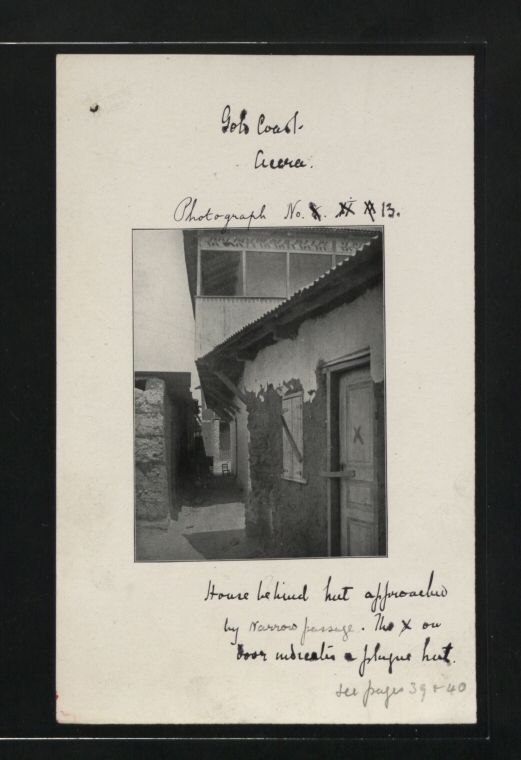 House behind hut approached by narrow passage. The X on door indicates a flu?us hut.